Are your chances of winning the UK Lottery slimmer? The National Lottery may have just decreased your chances of winning the jackpot (not that the chances were slim enough already). The probability of hitting the jackpot and being thrown into a new, rich lifestyle is now even further away from reality. Why is this so? The National Lottery operator increased the number of balls from 49 to 52. What are these changes doing to your odds? What are the chances for the National Lottery win? Allowed 13,983,816 possible lottery tickets generated, making the probability of winning 1 in 14 million. 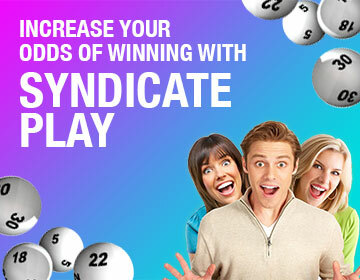 Allows 20,358,520 possible lottery tickets generated, making the probability of winning 1 in 20 million. Most countries have 49 numbers, giving players 1 in 12 million chances of winning the jackpot. The Australian Lottery number range includes 45 numbers, giving players 1 in 9 million chances. Is the new system unfair and providing worse returns? This change is said to be in the response to a market research for a high demand for bigger jackpots and to keep up with international standards. This means that players have three chances at three jackpots for every draw. Supposedly, the game is now ‘re-invigorated’, a ‘spruce up’ if you will. Does the change really make a big difference? The change has supposedly made 3 new millionaires, yet correlation is not causation. US lottery has 69 balls in play yet one woman managed to match six numbers, winning the $758 million jackpot. Do you want to prove the numbers wrong? Play now at OneLotto!